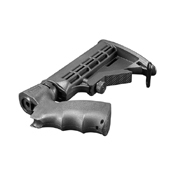 Drop-in upgrade for your 12 gauge Mossberg 500/500A/590 pump shotgun. 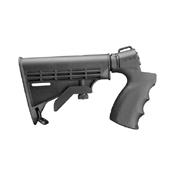 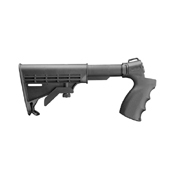 Ergonomic pistol grip design fits comfortably in the hand and the M4 style stock is adjustable for length of pull, making the kit perfect for any shooter. 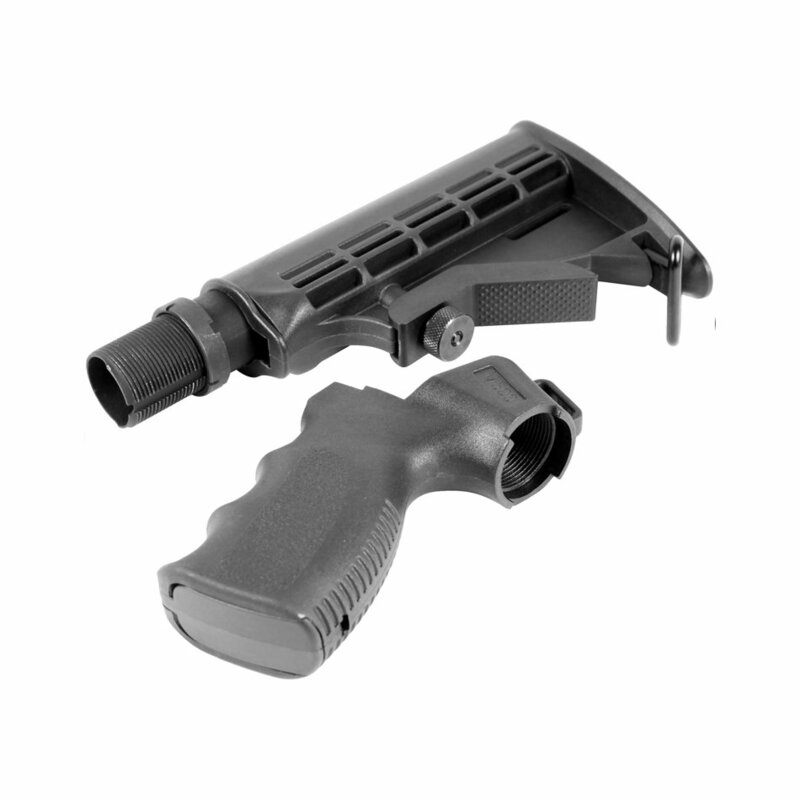 Installs in just minutes with no gunsmithing required.